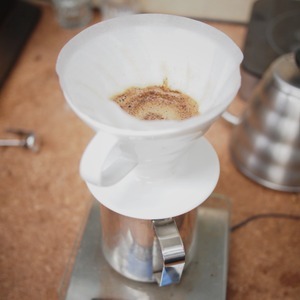 Note: used grind size '11' on a Baratza Encore (on the finer side) and the smaller (155) Kalita Wave dripper. 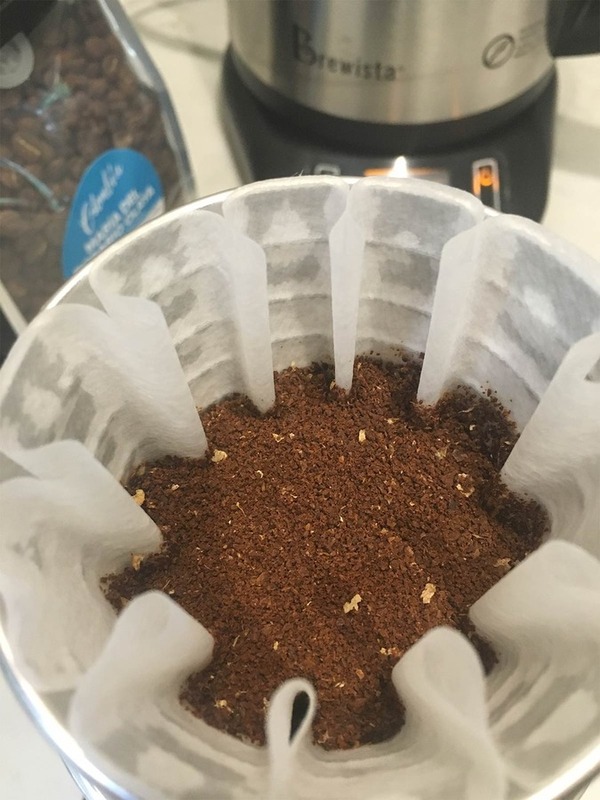 At beginning, 40-50g bloom until ~30 seconds (or when coffee stops bubbling/swelling). Then pour up to 100g. After 1 minute, pour up to 150g. After 1:30, pour up to 200g. Pour the last water, up to 260g, after 2 minutes. Water should finish dripping through between 2:45 and 3:00. Josh brewed using a 6.2 : 100 ratio of coffee:water.